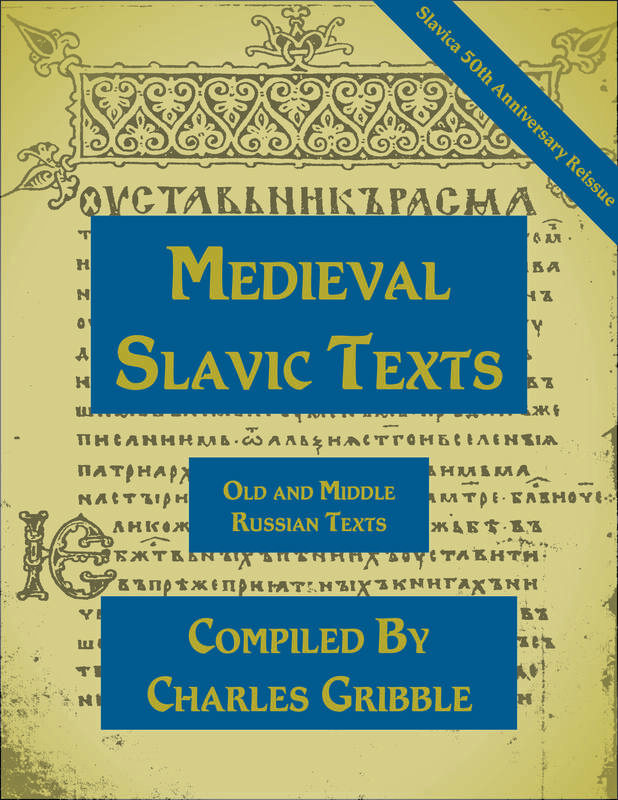 Medieval Slavic Texts, Volume 1 is a collection of medieval texts, reprinted for students of Slavic philology, and representing a wide range of genres, language variants, and orthographic systems. As the title implies, the original intention was to continue the series with later texts, but this never actually happened. Nevertheless, this collection provides a selection of useful texts in accessible form. It should be noted that in the original print work, most pages were presented in portrait orientation, but some were landscape, and in this .pdf version we have rotated these pages to make them suitable for on-­‐‑screen reading. Our sincere thanks to Charles E. Gribble, co-­‐‑founder and long-­‐‑time owner of Slavica, for granting permission for this reprint. The publisher welcomes comments on this and other forthcoming out-­‐‑of-­‐‑print titles to be restored in this series.